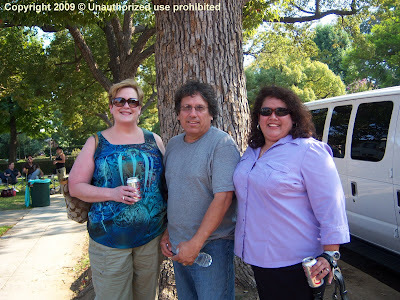 Criminal Minds: Transcript of the chat with Erica Messer, showrunner of Criminal Minds held on June 25, 2011.
jill: Welcome Erica! We're happy to have you here today to discuss season 7. You have your whole cast back.......that must feel great. Erica_M: hi there everybody! I'm so so so so so so so so so so so so happy the cast is BACK! jill: Are you ready for ?s? jill: Since Thomas Gibson signed his new contract after the writers started working on Season 7, did this affect their writing process or their plotting for the first few episodes of the season? jill: I just wanted to know if MGG would be directing any of the Prentiss returns eps? jill: Do they plan to bring the Prentiss storyline to a head quickly so she can get back to the team? jill: Where do you want to see CM go this season? Will you take us back to when the cases were the A story? jill: Not sure Jill will allow this question but will Seaver be back at all or are we done with that character...no offense to Ms. Nichols!!!! jill: Jill tweets lots about you and for me, a newbie, it has been eye opening. I didn't know you had been with the show since day one. She says you know these characters better than anyone. That says a lot. Do you feel the new writers will have that type of understanding? jill: What is your biggest challenge this season since it is your first year of being our showrunner? jill: Now that the spin is over will we have more the same amount of Garcia? jill: Erica, speaking of Garcia...I can't wait till you see the pens fans have sent in this year. They have outdone themselves. jill: Will you be able to tie up some of the loose ends from seasons five and six? jill: I think that is the ? jill: Ed Bernero did cookies for us. Do you know what cookies are and will you be contiuing that tradition? Erica_M: Oh! And Paget! She wasn't here when we sat down with the writing staff! Erica_M: Of course! I've baked a few for you myself! Erica_M: Yes, you can expect those throughout! jill: Everyone has a favorite character and of course we never agree on who has the most screentime. My questions concerns the ladies. Can we hope they get some great screentime? jill: A recent article say that AJ will be changing and her character will be more edgy. Looking forward to that. Any hints???? jill: Will Breen Frazier be back? Love his episodes. Miss not having him come to chat last season. We always had such a good time with him. Erica_M: Really? I'll pass that along to him and maybe you can get him in here soon! jill: Okay, if we can do this in a reasonable fashion I am going to open this up to questions from MODS ONLY. Hardkorr: JJ is coming back as a Profiler now? Erica_M: She is filling more of that role than any other role she had before, yes. Hardkorr: That's awesome. She's always profiled just not "officially"
Erica_M: If a stranger watched our show, they'd think she is a profiler. We all know her history and can understand why she's earned this spot. 00_WatchMod_SSA_Carpenter: Will we be seeing more of Sergio in season 7? Erica_M: Ha! That's great! Sergio is mentioned in the premiere... is that a spoiler?! Hardkorr: Well we have Strauss back in Season 7? Will we find out what her secret is? Erica_M: Right? Someone here called her Darth Vader! Yep. She is the perfect antagonist. Erica_M: Oh my gosh, those gentlemen are such a joy to work with -- haven't met John Douglas yet, but talked to him and hope to see him during his next trip to LA. Hardkorr: Can you tell us if any interesting guest stars have been lined up yet? Erica_M: Mark Moses (Mad Men among many other gigs) will be in the premiere. We just started prep and will have a list of guest stars coming our way by the mid of July. Will be sure to let you guys know. jill: What can we as fans do to help support you this season? Erica_M: Thanks for asking. Twitter is amazing (from what I understand of it!). These chats keep everybody on the same page and excited about the show that we all love... so we should make a real effort to keep these going. You having our backs while we're in the trenches is so important... your support goes a long, long way. Keeps the troops happy and encourages us to go on. One of our writers ran the LA marathon and said she connected with the crowd the whole time and their cheers made her keep going. That's how I feel about you guys. Your enthusiasm for CM is contagious. And when you're down about it, that's contagious too. So my hope is that you'll all be as excited as we are for season seven! jill: I can't tell you what but a large group of fanatic fans have a surprise for you while I am there. Our way of showing you our support. We all have a lot of confidence in you and look forward to what your experience brings to the show. Erica_M: Oooooo! I love surprises! Erica_M: And I have promised to take care of this show -- it's what I signed on for and it's what I plan on doing. Erica_M: Thanks for your support now... it means the world. Debbie: Hi! Just two comments, if I may…I’m so excited about you being our showrunner! and having everyone at home again! I would love to see more of the science of profiling - kind of like when the show began. I miss that. cmwinner: Just for clarrification, is Seaver's character only going to be mentioned in the premiere as to where she is or will we see her at all? robinotl: Will we be seeing more of Kevin (Garcia's boyfriend)? I kind of miss their interchanges. Sherry_Belle: hello, in the last chat, you said that you would check into letting us watching eps online...what's the status on that? Erica_M: Ah! Sherry Belle! Thanks for reminding me. I'm putting it on my list right this second. Sorry!!! Erica_M: Oh, hi Reid Fanatic. Yes, we will have more Reid. He's got a great arc this season. diamondclear: Hi Mrs. Messer! This is great to have you here! My question is...Will we see Hotch really deal with losing Haley? And Jack's adjustments? Erica_M: I'd love to see how he's been coping with that major loss... and Jack... it's one of the topics to discuss when the writers meet with Thomas. Cephalophile: Thanks for being here! Any chance of seeing Jane Lynch, despite her many other obligations? 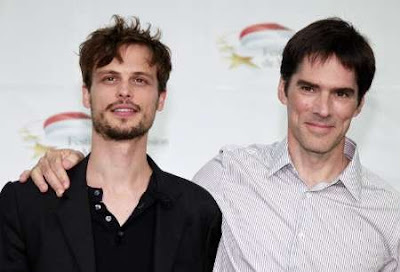 sdwally: Wiil we have more Hotch this season than in Season 6? He seemed to be under-used in Season 6? oceanblue78: Season 6 focused more on the unsub I think, will season 7 focus more n the team and their realtions? Erica_M: Yes, the premiere will get that ball rolling and I'd like to continue that journey throughout the season. We've earned that after this long! psycheek: How many episodescan we expect this season? Erica_M: We've got an order for 22. Will let you know if it becomes 24. 007luvscriminalminds: Okay. Thanks. Will we see Will and Henry this season? I missed them last season. Hardkorr: Will he still be played by AJ's son? Erica_M: Thank you all so so so much. I'm really looking forward to spending more time with you all this season. Have a great weekend everyone and thank you for spending some of your Saturday with me! Criminal Minds: Shemar Moore Heats Up MAXIMUM FITNESS' July/August 2011 Issue. 41-year old Shemar Moore shares his workout tips with his fans in the latest issue of MAXIMUM FITNESS. Criminal Minds producer Erica Messer has dropped new hints about the show's seventh season. The CBS crime drama's sixth run concluded with the BAU team facing a financial crisis which threatened to dismantle their operation. Messer told TV Guide: "All of those threats that were made in the finale, that there might be changes and people were going to move on, have come true to some degree [by the season seven premiere]." The showrunner also revealed that Morgan (Shemar Moore) will be the first team member to discover that Hotch (Thomas Gibson) and JJ (AJ Cook) faked the death of Prentiss (Paget Brewster). "You'll learn who's been where and who's been doing what," she said. Criminal Minds star Thomas Gibson recently struck a last-minute deal to return for the show's seventh season. 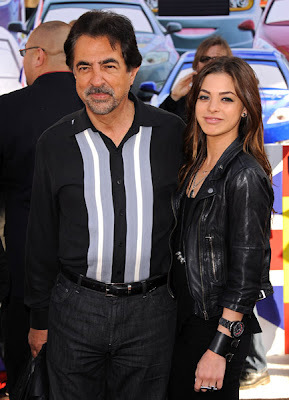 It was previously reported that the Criminal Minds writing team had assembled to begin work on new episodes while still uncertain of Gibson's status. 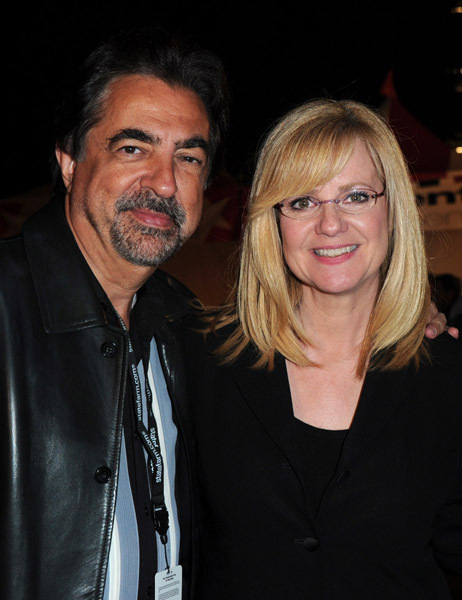 The seventh season of Criminal Minds will air on Wednesdays at 9/8c on CBS in the fall. Criminal Minds: Erica Messer, the showrunner for Criminal Minds, will be joining us in the Criminal Minds Fanatic chat room to discuss the seventh season of Criminal Minds on Saturday, June 25th at 4pm EST. Please email the Criminal Minds moderators for the password for this chat: cmfchat@gmail.com AND make sure the subject line reads 'request password for the "Erica Messer Chat"
IMPORTANT: the password for the chat will be sent the day of the chat. 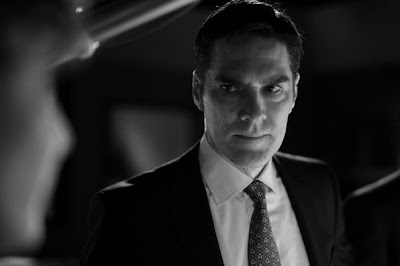 Criminal Minds: Thomas Gibson has sent a message for me to share with all of you. Criminal Minds: Thomas Gibson, Aaron Hotchner on Criminal Minds, has signed a new contract!! 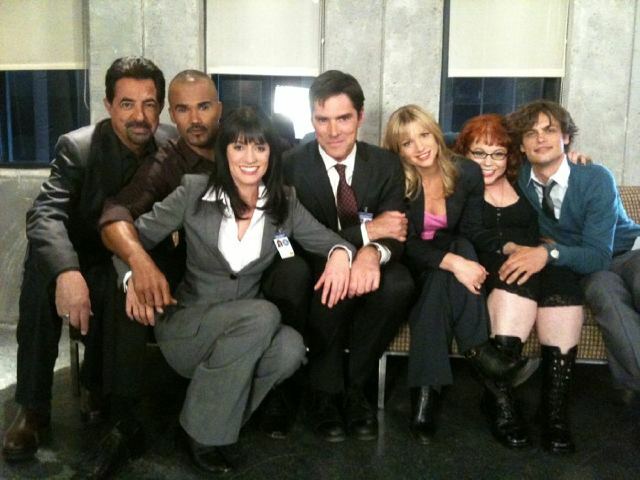 Criminal Minds has their entire cast back together! A great day for fans!! Criminal Minds: Joe and Gia Mantegna attended the Premiere of Walt Disney Pictures 'Cars 2' at the El Capitan Theatre on June 18, 2011 in Hollywood, California. Criminal Minds: Joe Mantegna, David Rossi on Criminal Minds, and Bonnie Hunt attended the after party for the premiere of "Cars 2" presented by Walt Disney Pictures at the El Capitan Theatre on June 18, 2011 in LA. Criminal Minds: Shemar Moore, Derek Morgan on Criminal Minds, will be attending the Daytime Emmy Awards which air tonight on CBS at 8pm EST. 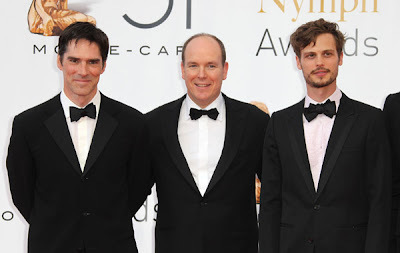 Criminal Minds: Thomas Gibson, HSH Prince Albert II of Monaco and Matthew Gray Gubler attend the Closing Ceremony and The Golden Nymph Awards at the Grimaldi Forum on June 10, 2011 in Monaco. Criminal Minds article about directing: When actors step behind the camera to shoot an episode, it’s twice the work—and twice as rewarding On a soundstage in Hollywood, veteran actor David McCallum reaches into a corpse and pulls out a gushy-looking organ. Kidney? asks his NCIS co-star Michael Weatherly. Liver, McCallum responds, plopping the glob onto a scale. As the scene ends, instead of standing in his place on the set with the rest of the cast to see if the scene needs another take, Weatherly dashes over to a TV monitor and watches a playback. Print it,” he declares, and the crew moves on to the next shot. Wait a minute—is this guy an actor or the director? Today, on set of the episode called “One Last Score,” he’s both. “I was so excited to get to work, I actually had to go for a run this morning to burn off some energy,” says Weatherly, the latest member of an elite group: actors directing episodes of their own shows. Criminal Minds: Thomas Gibson attends Photocall for 'Criminal Minds' during the 51st Monte Carlo TV Festival on June 8, 2011 in Monaco. Criminal Minds: Matthew Gray Gubler attends "Criminal Minds" photocall during the 51st Monte Carlo TV Festival at the Grimaldi forum on June 8, 2011 in Monaco. Criminal Minds: Shemar Moore, Derek Morgan on Criminal Minds, strolls a Miami beach on Tuesday, June 7th, 2011. 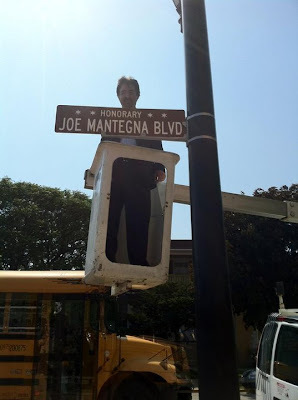 Criminal Minds: Joe Mantegna had a street named after him in Cicero, IL.